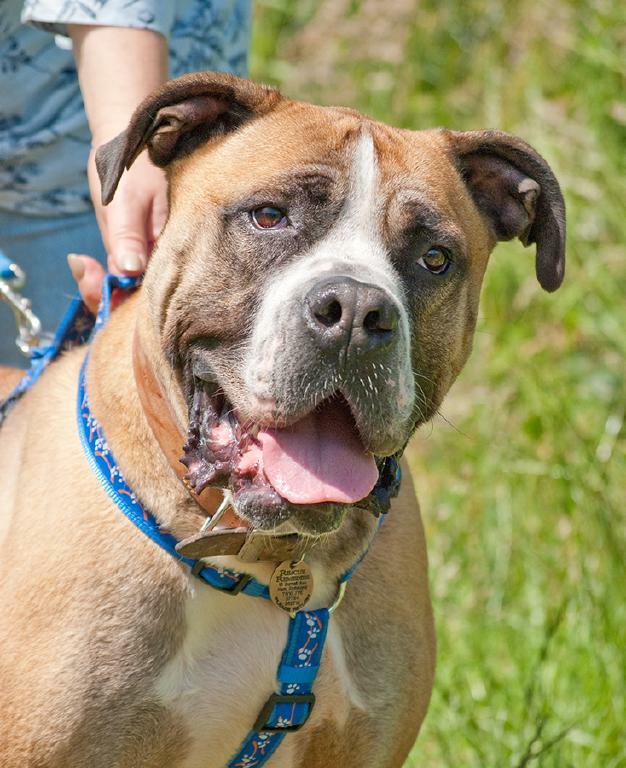 Homing Requirements: Bongo needs a family who are comfortable with managing a big dog who works with you but needs his energy and strength guided and steered. 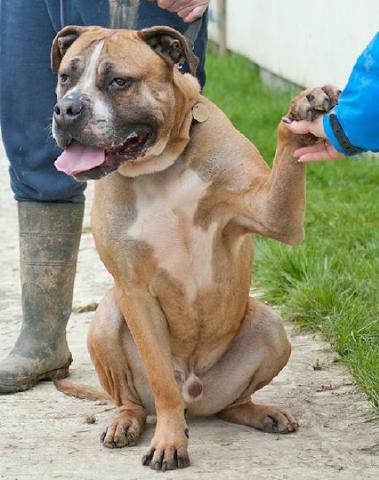 Bongo needs to be an only dog but has lived with a dog friendly cat. He is a well trained dog who is so happy to please. He can drool. 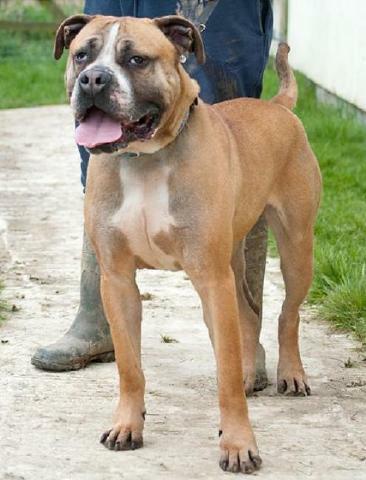 Deserves a fair sized secure garden and would like an 'at home' scenario that he is used to. 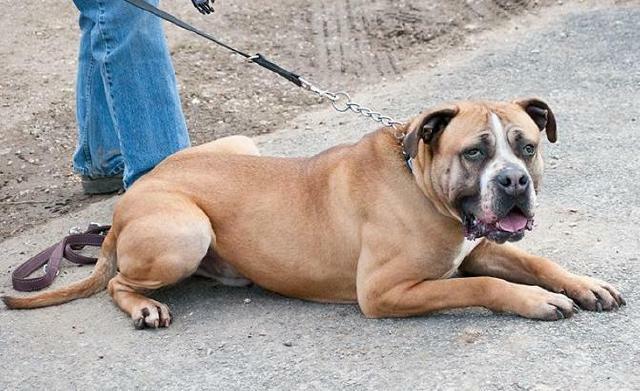 His Story: Bongo was found straying and his microchip traced him back to his former address a few doors away from his breeders who still have his mum and dad. Bongo is good with dogs but always lived as an only dog but spent a lot of time with his parents staying overnight frequently as a puppy and young dog. Bongo is neutered, chipped and fully vax'd. Kennelled in Godstone, Surrey. Advert: Bongo, Bongo going going Bong! What a wonderful boy ... a big sop of a dog whose wealth of talent and generosity of spirit is apparent. He is obedient and receptive to input and command. Bongo grew up with a cat and enjoyed visiting grandchildren between 4 and 11 years old. Bongo has been well treated and command trained. He loves treats! 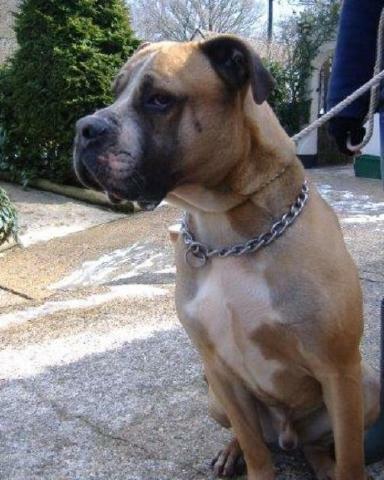 Bongo's mother is an American Bulldog X Dogue de Bordeaux and his father is a Bull Mastiff X Ridgeback. Yes a large cross breed but not a cross bone in his body. A very gentle giant, no qualms being in the paddock with him 20 minutes into our relationship. He was just grateful to chill. Good on his walks and truly a companion. He particularly likes women but is happy to be managed by men too. Stunned by his size and power! Wowed by his personality and kindness! Please click to complete our on-line homing questionnaire to match a suitable dog with your lifestyle. Please note that this dog is currently in boarding kennels and is also available for foster until a 'forever' home is found. 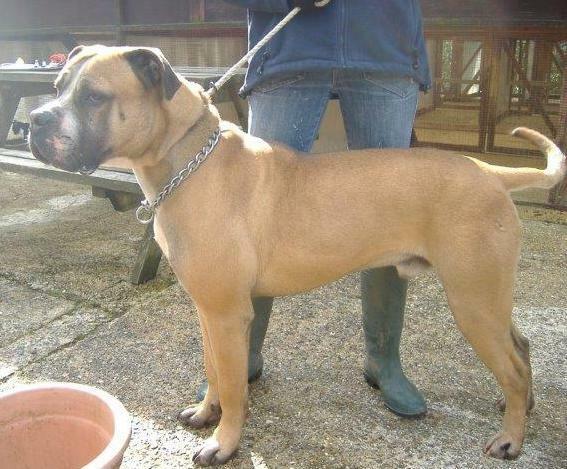 Referral Details: Tan/Wht Blk mask Mastiff X Male Neutered 2-3years Avail 13.03.13 1st vax 13.03.13 Chipped to breeder– no response. Good bodily condition. 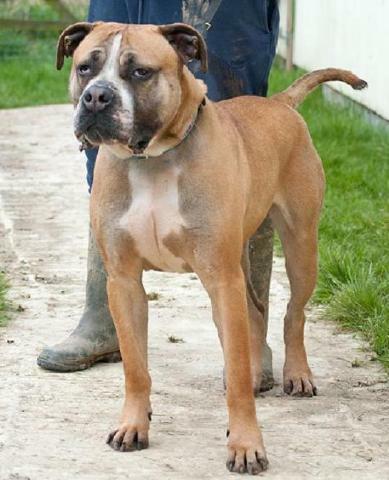 Good with adults Not child tested, good with dogs but NGW cats. Knows sit, down and gives paw. Likes treats – not into toys. A very handsome fella!!.. a gentle giant. Strong boy…but very obedient. Would suit someone used to big dogs. He is a bit barky and guardy behind cagework but when given commands he will obey instantly. He loves a treat and is very amenable. Nice boy!! !.........needs a fresh start……….